In most warehouses there will be large amounts of packaging and the possibility of some electrical equipment. 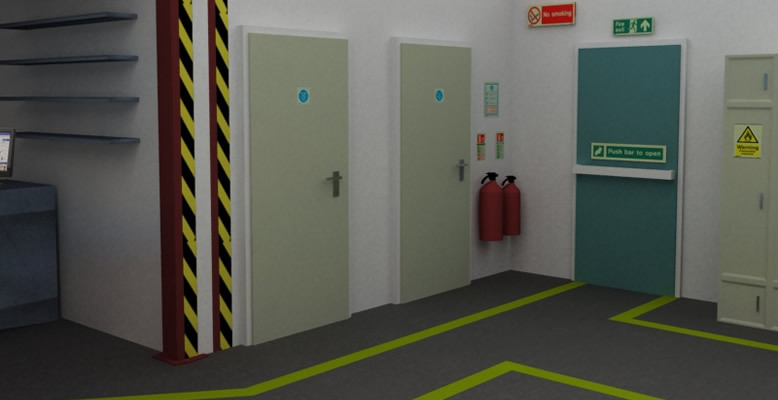 As warehouses are usually larger areas than most rooms it is usually recommended to install larger extinguishers to cover more space. Most warehouses contain an assortment of fire risks such as computers, electrical appliances, packaging materials and cleaning materials. Class B - Suitable for flammable liquids such as petrol and oil, these materials are often found in warehouses in the form of machine lubricants, cleaning materials, pains and solvents and fuel. Electrical - Suitable for use on electrical fires such as computers and printers which are often found in warehouse packaging bays. Also suitable use on things such as electrical heaters and lighting. Warehouses traditionally have the potential of larger fires and possibly larger volumes of flammable materials. Foam has the highest ratings against class A and B fires of all extinguishers suitable for use indoors. 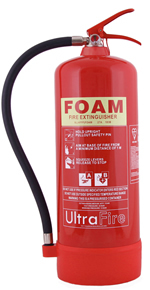 Most foam extinguishers are also safe to use on electrical fires (following the manufacturer�s guidance). The clean-up requirement of foam is greater than that of CO2 or traditional water extinguishers. If the extinguisher has not passed the electrical conductivity test they shouldnt be used on electrical fires. If the warehouse has a loading bay etc. where vehicles would stop a powder extinguisher could be used to cover potential vehicle related fires. 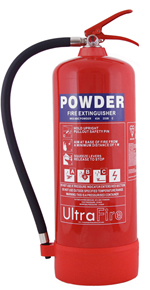 Powder fire extinguisher are suitable for use on class A, B, C and Electrical risks and are ideal for protecting warehouse areas. Powder fire extinguisher are the most versatile of all the extinguisher types and can be use on burning liquids, gas and electrical fires. 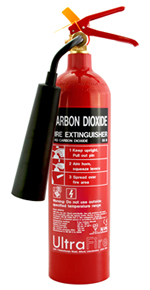 Powder extinguishers are ideal for use in warehouse areas as they provide an all round cover. Powder fire extinguishers do not prevent re-ignition after the fire has been doused. Powder should not be used indoors unless necessary to cover a specific fire risk with it being potentially suffocating and harmful to users in confined spaces and leaving a large clean-up.